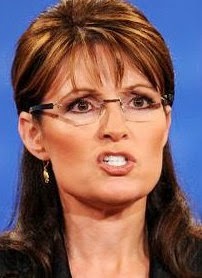 Sarah Palin: Impeach President Obama - Joe.My.God. “Enough is enough of the years of abuse from this president. His unsecured border crisis is the last straw that makes the battered wife say, ‘no mas.’ President Obama’s rewarding of lawlessness, including his own, is the foundational problem here. It’s not going to get better, and in fact irreparable harm can be done in this lame-duck term as he continues to make up his own laws as he goes along, and, mark my words, will next meddle in the U.S. Court System with appointments that will forever change the basic interpretation of our Constitution’s role in protecting our rights. It’s time to impeach; and on behalf of American workers and legal immigrants of all backgrounds, we should vehemently oppose any politician on the left or right who would hesitate in voting for articles of impeachment. The many impeachable offenses of Barack Obama can no longer be ignored. If after all this he’s not impeachable, then no one is.” – Sarah Palin, in an “exclusive” essay written for Breitbart. Next Is Rosie Returning To The View?